Babies need to feel their parents' touch and skin; it is crucial to their development. 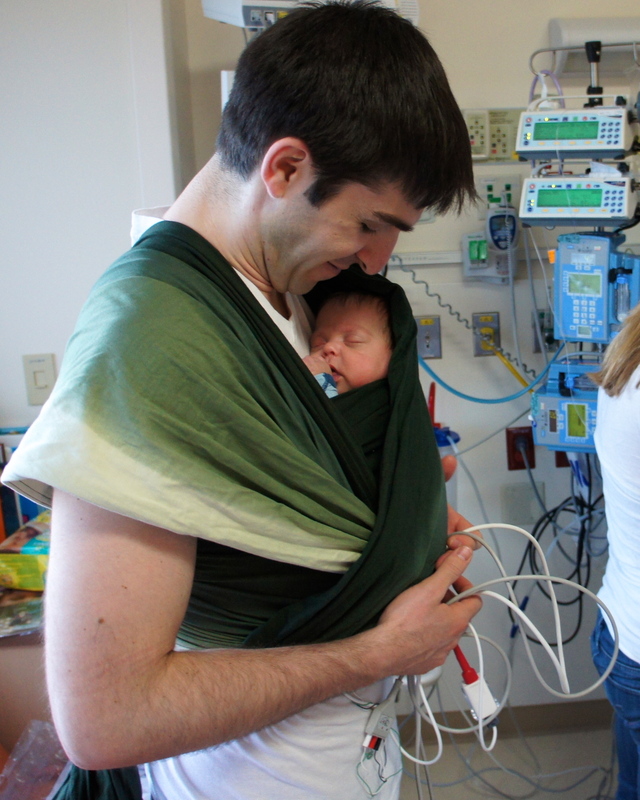 During our NICU journey, an "expert babywearer" visited our family and showed us how to safely wrap our babies -- even when they were hooked up to cords, wires and tubes. Babywearing allowed us to keep our babies close, snuggled up next to our hearts, with our hands totally free! Babywearing provides a beautiful (and convenient!) way for parents and babies to bond. All NICU families should learn how to "wear" their babies. 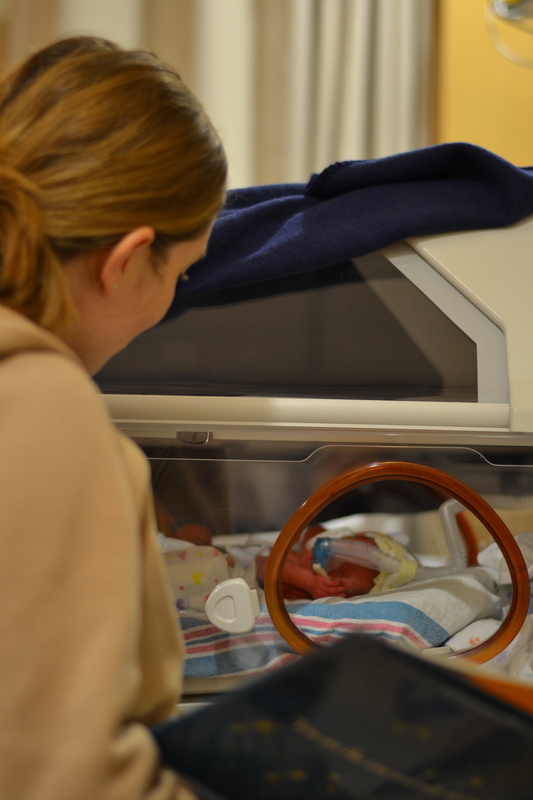 In the moment, we had no desire to remember or document most of our NICU experience. It was so overwhelming that we just wanted it to be over. But now, we treasure every photo, video, handprint and keepsake from the boys' first months of life. We loved having non-toxic, washable ink pads to make baby hand- and footprints. High quality photos and videos are invaluable in reminding us to celebrate all of our babies' achievements. Hospital food gets old fast. We were always at the hospital and never made time to cook. We needed food that was easy to eat, satisfying and, most of all, healthy. Nursing (or exclusively pumping!) mothers need a healthy, nutrient-rich diet. Healthy meals from our family and friends were a godsend. Breast milk is essential for premature infants. Unfortunately, most preemies cannot nurse for weeks or months, which means mothers of preemies have to rely on a breast pump to establish their milk supply. 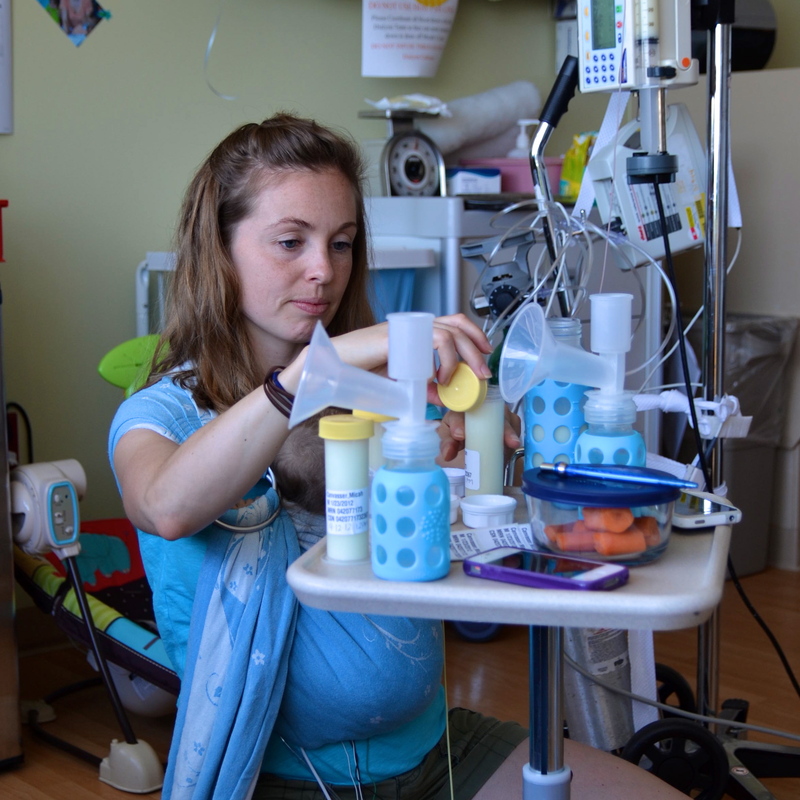 Pumping is exhausting, uncomfortable and challenging. Mothers of preemies need your support, encouragement and understanding. Premature infants need mama milk. Partners, family members and friends should do everything they can to support NICU mamas as they make milk for their babies. Donor milk is a great option for premature infants whose mothers cannot provide them with enough milk. Music heals. 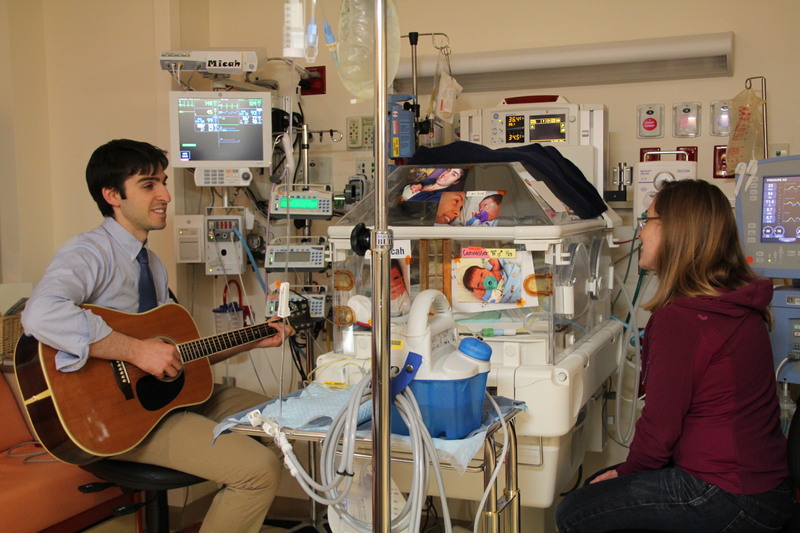 Micah and Zachary were fortunate to have a music therapist play live music for them regularly. The music soothed all of us. When live music wasn't available, we relied on Pandora One for uplifting music. Calm music drowns out sounds of chaos (i.e. alarms, machines, beeping) and creates a haven of peace and healing. Micah and Zachary were often so unpredictable and unstable that I did not want spontaneous visitors. I could not handle one more person or any more questions. Planned visits were wonderful. Indeed, I wanted visitors. I wanted to share my beautiful sons with my family and friends. I wanted to be connected with life outside of the NICU. But, I had to feel safe and ready. I would love to support you through this journey. Can I provide/give/do___________? Use words that validate, empower and recognize the challenges of being a NICU family. 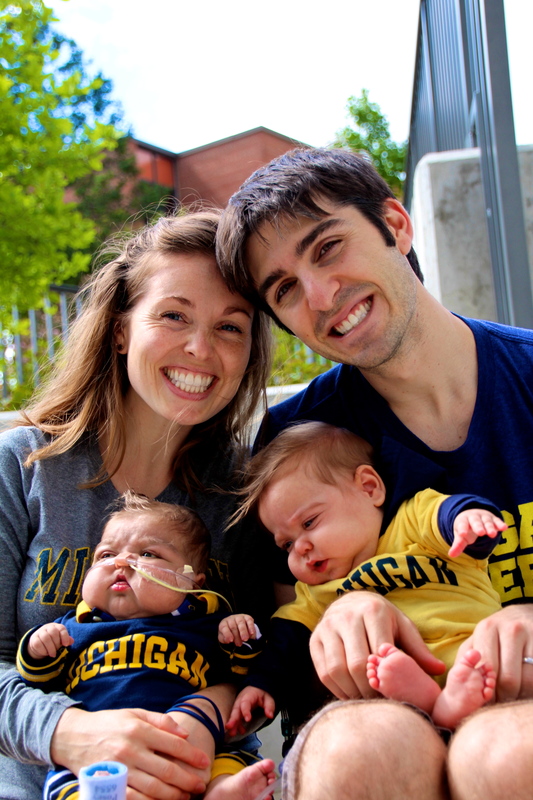 Tragically, baby loss is a real thing for many NICU families. Be sure to say the lost baby's name and let the family know you haven't forgotten about their precious baby. Finally, get comfortable with silence. Sometimes just being present, and listening, is all NICU families need to feel loved, validated and supported.